Hawaii weddings, Hawaii wedding, Hawaii wedding packages, Getting married in Hawaii, Wedding package Hawaii, Oahu weddings, Hawaii wedding packages on Oahu, wedding packages in Hawaii, Hawaii vow renewals, Weddings in Honolulu, Hawaii wedding packages Oahu, weddings on Oahu, all-Inclusive Hawaii wedding Packages, wedding Hawaii, vow renewal in Hawaii, Hawaii Elopement, Oahu wedding packages, Hawaii beach weddings, vow renewal Hawaii, vow renewals in Hawaii, wedding on Hawaii, Honolulu weddings, Waikiki wedding, wedding on Waikiki beach. Relax... your search is over! "Come inside. Our house is yours". 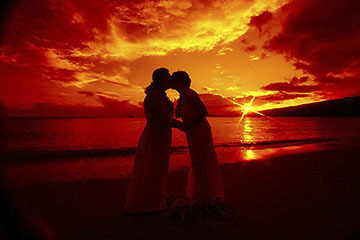 We specialize in small and intimate Hawaii beach wedding ceremonies on the island of Oahu. You will not find more dedicated top Hawaii wedding professionals or higher quality services and products at better prices. We endeavor to provide our clients a Hawaii wedding experience that's stress-free, enjoyable, and with memories to last a lifetime. Our Hawaii wedding website is easy to use, straight forward, and contains everything you need to know about Hawaii weddings on the beach. Planning your event can't be any easier! Ask about our monthly special deals for selected packages too good to advertise! Receive a $200 price reduction or get a free 8-Passenger limousine for up to 2 hours for a Maile package reservation. You'll get "real" advice and what's best given our 35+ years of island wedding experience. 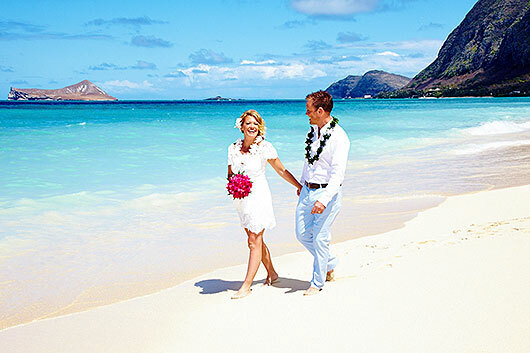 We'll show you how to have a beautiful and memorable Hawaii wedding or vow renewal like thousands of our clients before you. Most importantly, we'll share our tips and suggestions to help ensure that you have a successful and enjoyable event. Our packages are affordable and reasonably priced. Check it out. See Packages. We use experienced, "top" Hawaii wedding professionals and the same one's big hotels, churches, and high-end planners have used but, at our much lower and resonable prices. See About Us. 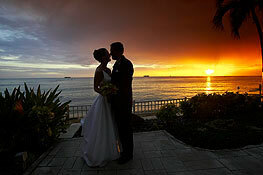 We've helped thousands of couples from all over the world for their Hawaii wedding or vow renewal. Just about every State in the USA and international couples from Canada, Mexico, England, Ireland, Wales, China, Japan, Korea, Taiwan, Hong Kong, Singapore, Malaysia, Philippines, Guam, New Zealand, Australia, South Africa, Chile, Brazil, Bolivia, Argentina, Columbia, Finland, Iceland, Sweden, Denmark, Norway, Netherlands, Belgium, Holland, Poland, Germany, France, Switzerland, Italy, Spain, Austria, Greece, Slovenia, Bosnia, Estonia, Czech Republic, Serbia, Russia, United Arab Emirates, Dubai, Lebanon, and Cameroon. Whew, that's a lot of countries when you think about it! We're also equally proud that many of our Hawaii "locals" and Hawaii stationed military personnel have choosen us to perform their Hawaii wedding or vow renewal and not just any other "tourist" wedding website. We'd like to say that our Hawaii weddings are "the best" but, like many endeavors, "the best" really can't be measured, quantified, or calculated... there simply is no such thing as "the best". But what we can do is describe what we do, how we do it, and share real client experiences and we hope to convey what makes our events so special. If you dream of a memorable Hawaii wedding or vow renewal and you just want to have a relaxed, stress free, and enjoyable event, check us out. You'll be glad you did! FYI: Our website may not have full function with Firefox. Please use Safari or Explorer if you are experiencing problems. If you're looking for something super cheap or don't really care much about your ceremony and photos, don't go further. There are plenty of other websites to choose from.